We have a giveaway that will seriously upgrade your bedroom today – an adjustable base from Yaasa! The Yaasa is definitely the sleekest adjustable bed I have reviewed. With a beautiful aesthetic wood-panel design, you will win something that will improve your sleeping experience and look good in the bedroom. Winner chooses the size! When reviewing the Yaasa adjustable bed, I noticed the sleek design, and also how easy it was to use. You can have this adjustable base set up and working within minutes. While you’re here, make sure to check out the Yaasa mattress as well! It has a great feel and – you guessed it – works great with an adjustable bed. If you’re in the market for an adjustable bed, make sure to check out our Yaasa coupons page for the latest deals. And good luck with the giveaway this month! Love that the Yaasa Adjustable bed slips right into the bedframe, and you can decide on legs. Plus the fact that it’s adjustable! Awesome! It looks great! I might finally get a good night’s sleep! I really like the Yaasa Adjustable Bed. Since I am a side sleeper, it would obviously be best for me not to sleep with the bed inclined. But, I like that I could potentially read or work on other things while the bed is inclined, especially since I really like reading in bed. It would certainly be more comfortable to do work in bed with the Yaasa Adjustable Bed than it is to do work on my current mattress. Plus, I really like that the head of the bed moves in such a way that it won’t scratch or hit the wall as it glides into your desired position. Not to mention, I like how it can be powered by batteries just in case of a power outage. With my sleep apnea I need an adjustable bed, With the Chronic Back Pain I need a mattress that isn’t 10 years old. Thanks for the chance to win. I think the Yaasa adjustable bed looks very nice! It sounds comfortable. I like its beautiful design. Not sure what I think of the Yaasa bed, “Let me sleep on it”, HA! No, I think it will be a Paradigm shift for the sleep industry going forward. This looks so comfortable and soft! It would be very beneficial for us since we are both readers in bed and we could use the lift! This bed looks fabulous! I spend so much time tossing and turning and trying to prop pillows when I need to sleep in a more upright position or watch TV. I can see myself getting very comfortable in this bed! This would be great for watching tv. Looks like it would be helpful in keeping me a bit more upright to lessen my acid reflux symptoms. Looks like the design was well thought out. I think this bed would be very useful. This bed is just dreamy for our family!! I love this bed. It’s perfect and does everything I need! I love the positions and how many times have you used your phone as an alarm clock and are concerned that you don’t have enough battery left. You can just charge while you sleep. It even has a backup battery in case of power outages. Thanks for sharing! Looks good. My husband has just spent a week in the hospital with kidney failure and fell in love with the adjustable bed. Looking to see what we can find that might emulate that experience. This looks like it might work perfectly. I like that it’s adjustable. This would be great for reading or watching a movie. I think that it is so neat that the bed is adjustable. It seem comfortable. This looks awesome! Thanks for all the great reviews! his is the best bed that I have ever seen. I bet I would get the best night sleep of my life with one of these. I think this is an amazing bed. I would love to sleep on this every night. This is my dream bed! Looks awesome and comfortable. I was afraid of the “assembly required”, but after reading your review, I think I can do it! We bought a hybrid mattress and have been researching adjustable bases. Yaasa keeps coming to the top of our list. It will help with our health in so many ways. Winning it would help immensely. If I win this bed, I could be more comfortable while dealing with my horrible migraines. And that would be wonderful. I would love to have a Yaasa Adjustable Bed. A good night sleep is so important. Thanks for having such a great product and a great giveaway! I like the looks of this bed and it looks like it is very well made. I am impressed by the built-in USB port–very useful. The Yaasa Adjustable Bed review is most excellent and very descriptive. Thanks for the quality. Great style. Love that it is adjustable yet will fit nicely in a small bedroom. I think this would be something good for my parents. I would literally look up and THANK GOD if I were to win this bed. I had a failed fusion & laminectomy and am really tired of sleeping in the hole in my mattress caused from my lying on the mattress. THIS BED WOULD FIX MY PAIN AT NIGHT! Thanks so much for the opportunity to enter! Being someone who has to sleep propped up, im loving this Yaasa Adjustable bed frame. Thanks for sharing because i had never heard about them, and the opportunity to win it! First time I have looked at an adjustable bed seriously. Before they all looked like a folding taco. This would be perfect for my back and hip problems! Thank you for the chance! I think it would make my life easier! I totally need this bed! It would be a dream come true! Have adjustable base. This one appears to be wall hugger. Would appreciate that. Too bad only comes in two sizes but could put in my guest bedroom. I’m willing to bet the assembly has made more than a few people put their fists through the drywall. I think this would be great and may help us sleep better. I love that it has a 4 panel base as compared to the 3 panel bases that’s seem to squish us. This would be wonderful for my husband who is recovering from throat cancer treatment and can’t lay flat in our bed, so he has to sleep at an angle on his recliner. This would truly give him a decent nights sleep after a year of chair sleeping. Eh I am just not buying this bed is better than my already stellar adjustable bed. It looks really clunky and awkward. I have an mattress that is about that thick 14in that my mattress is awesome in the way it moves up and down and vibrates on my adjustable frame. I only paid $380 for it too. I would have to try this one out honestly. I compared one similar to it, as the maker of my adjustable made one just like this one in the review. I would love to try it out honestly to see if it does as good of job but honestly the reviewer looks as though his back hurt. Oh Man my aching body is dreaming about this bed!!!!!!!!!!! Thank you for the chance to win this awesome giveaway. It would be wonderful to own this bed. Slept on a ‘mattress in a box’ at an Airbnb Once – loved it – looking to get one for my home. Looks good for back problems. I would love to own this . Thank you for the entry. The Yaasa Adjustable bed looks great! I believe it would help me sleep better with my existing back problems. I would love to have this. What a great bed. It has to be comfortable. I haven’t had a good nights sleep since I got shot, maybe a new mattress and this is just what I need. Thank you so very kindly for the opportunity & Enjoy your upcoming weekend! Good Luck everyone! This would be great for my back! Awesome review! The Yassa Adjustable bed is perfect for young and old. The health benefits alone that this could offer; alongside the enjoyable contributions it has; would make it an asset to any home and it would be a privilege to own one. Looks like the best night sleep ever, just what I need. Amazing, wish I had it, my bed is 20 years old, need a new one bad. OMG! I love this bed. This would really help me in my Insomnia , diagnosed last year. This is really a superior adjustable bed. That I could really use an need. Since I have a lot of arthritis,and other problems. Thank you for this Golden opportunity. And I truly had to win. I’ve been wanting one of these beds for a long time but haven’t been able to afford one. Thanks for the chance to win one! At first I thought the giveaway was only for the wood panel lol. This would be awesome to put in the guest bedroom…but I’m sure my teens would sneak in with this bed! Hey I would too! I love the design, the modern look, the anti-snoze option on the remote and most of all that it adjusts! I’ve never owned an adjustable bed! How cool would it be to win this! And that mattress! NICE! I am positive this bed should be mine !!! LOOKS AMAZING!!! I have been looking at these. I’m getting a divorce and have to get a new bed. This would be awesome. Our mattress is over twenty years old! Two people with bad backs needing a new one badly. it would be a blessing to win and have a good night sleep , thanks for the chance . I would love to get a Yasa Adjustable Bed and it’s even in my price range. Have always wanted an adjustable bed & I need the firm support. Very nice design..Adjustable bed base is a great idea. I have been trying to figure out what kind of base to buy with our new mattress and this giveaway is swaying me in a new direction. I had heard about the Yaasa, but I hadn’t researched it too much. Now it is a top contender! DH is a very disruptive sleeper and this would help us both. I’ve already had insomnia but since my cancer diagnosis, I rarely sleep more than 4-5 hours a night. It’s just hard to get comfortable! I think being able to adjust my bed would help me get a better nights sleep! I would love to win this so bad …..it’s so nice looking if you saw my mattress I’m sleeping on now you would GASP! !where my but is is a big dent in mattress where I have 3pillows covering up the hole so I can lay on the mattress it’s sad ….but I need somewhere to put my 71yr old fat body to sleep .plus I have nerve pain and water retention. After seeing the review and learning more about the bed, this would a wonderful option for my husband. This is amazing! To be able to adjust for so many reasons. My back is calling me to this bed! With all the problems I have with my back this would be awesome! The Yaasa Adjustable Bed is calling my name! This high quality and modern bed would be perfect for me and my hubby. Being in our 50’s with health and sleep issues this bed would help us. Also we can do our reading and watching TV in bed comfortably. Cool bed frame, just what I need. Like the separate head and foot adjustments. Would love to win this just moved and bed such a fantastic and Fabulous giveaway, with my MS this could really help out so much ,be a Blessing !! I think the bed is amazing!! This is great. I love the adjustable aspect. Chic, without the “hospital” asthetic. Looks pretty easy to assemble which is definetly a plus. I love the settings on the remote! Anti-snore sounds great to me! I’d love to win this bed! It’s amazing. With a room with not enough space for a bed and a chair I have to always be in alaying down or leaning against the wall position. This is great as it says for reading, tv, or a nice cup of coffee n a book! Good luck. Everyone!! What a beautiful adjustable bed, so sleek and modern. I will be having back surgery March 29th pause. I would be overjoyed to win this bed knowing that I can sleep undisturbed in a nice comfortable adjustable position! I hope whoever wins this bed gets ultimate sleeping relief! I love this bed. i would sleep so much better. i love the adjustable bed, i have been wanting one but could not find one i liked, this one is great! Wow ……I could use this. I have a husband the snores a lot. I have several injuries, making sleep difficult in spite of many pillows. This adjustable bed would help so much! I have wanted one of these beds for a while! I have degenerative spinal disk disease, fibromyalgia, and osteoarthritis and I have problems just getting up and down! I wish I could be blessed enough to win this one! Thank you for my entry! This bed looks so amazing! I sleep so uncomfortably every night and this looks like heaven! Thank you for the chance and good luck everyone! What a wonderful win this would be. Imagine sleeping allnight in a great position that you are comfortable with? Good luck everyone! I want it! Sounds perfect! This would be great for watching TV in bed or even breakfast in bed. This bed is something I would love to have and relax on. This looks like THE bed I’d like to review! It looks so comfortable. I might actually be able to sleep if i had this bed ! I think it would be Amazing for My Hubby and I. He has had back issues for years and with this Awesome Bed he could have a restful nights sleep. Thank You for this Incredible Opportunity! What a Blessing this would be! This bed looks amazing ! Thanks for the chance to win it ! My back is demanding that I win this bed frame! When I saw this a light went off in my imagination and I knew what my next bed was going to be, Yaasa!!! I think this would be perfect for me, as I read in bed and work in bed, and well, spend way too much time in bed. But I might as well be as comfortable as possible! Oh my gosh! This would solve my shoulder, back, and arm problems! Looks great for napping or crocheting. I love the way it looks. I think it would be awesome to adjust the bed. Great. I love the look of this bed. I want to try it. I think I am so wanting one now. I have many aches and pains that it is hard for me to get situated. This bed could help. looks Super comfortable, good luck to everyone! Haven’t actually slept in a adjustable bed yet, might be interesting.. I have been dreaming of having one of these for years!!!!! I enjoyed learning all about Yaasa. My bed needs replacing! A great night of sleep! That would be a relief on this bed. Sleeping tilted up would help with the acid reflux. Hope I am the winner!! I looks like it would really help with my back issues. This looks like the perfect solution for my back problems plus other health issues. Thanks for the opportunity to win! 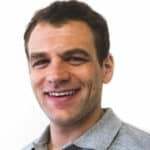 Sleep is the one thing everyone needs to rejuvenate and be healthy but which can be the most unachievable comfort for many based on health problems, life style, stresses, etc. A comfortable bed is a most vital part to that experience yet so hard to find. I slept on the floor in S Korea with a mat and had better sleep then a fat mattress. 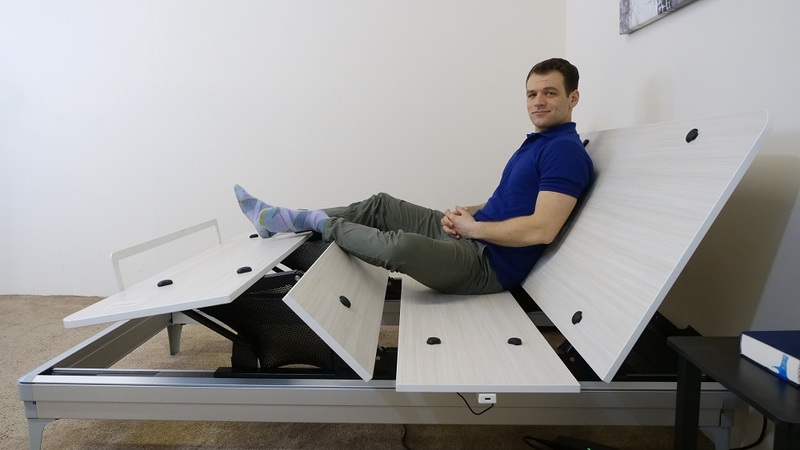 I’ve been trying to find a bed similar to the structure or firmness yet up high and adjustable because of my pains and aches in legs and back, fibromyalgia, chronic pain and this adjustable bed looks like it may be just that. The firmness of the floor but adjustable and up high to not be on the floor. I know sounds strange but if you experienced it you’d understand. If appreciate the opportunity to win and try this to help me find my comfort and pain free sleep again …thank you for the opportunity through this offer to win…. I want this bed..i need this bed!! My friend has it and looks so comfortable. So jealous! I want it, too!! I am one of those folks who love a hospital bed,,not the stay but being able to adjust the bed to fit so I can sleep! Wow! I would love this bed! And maybe hubby’s back would feel better. I think it would help both the hubs and I rest more as sometimes each of us gets up during the night because of back and neck issues. We also could read or could knit with my legs elevated. I like it because it has lots of beneficial ways for us both to rest better every night. I would love this bed. I have sciatica ,this bed would work well for me. I’ve been in the market for an adjustable bed. The Tessa Bed is very affordable and quality built. This adjustable bed is amazing and something I could really use. As someone who as multiple illnesses and spends days in bed at a time. How this Yaasa, adjust this bed looks dreemy! The Yaasa, looks like it would make my life easier and less painful. This bed is amazing! It sure would help with my heartburn to raise the head of the bed up. i would never get out of bed,that how much i love it! I think the Yaasa Adjustable Bed looks very strong & durable. I like the design & I bet it’s easy to get comfortable ! I think this would be absolutely perfect for me. It looks like you can really make it work for whatever you need. This looks amazing! My back is begging for this! I really like the Yaasa Adjustable Bed base. I like that it is not closed in on the bottom & you can store things underneath. It really is a sleek & modern design. I wonder if my Dream loud would work with this? Oh awesome! 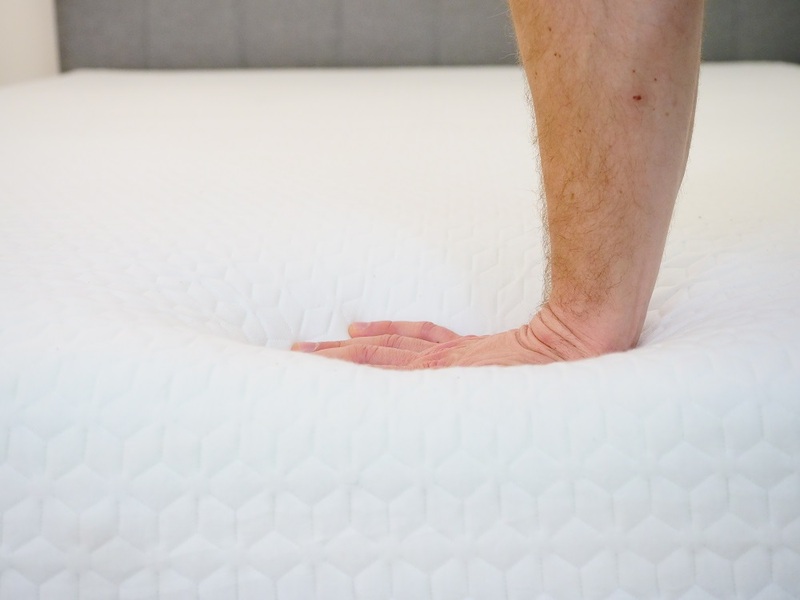 During my unending mattress searching I tried one on an adjustable base and it was heavenly! The complete relief of compressed and bulging vertebrae was so wonderful! Have not felt relief like that other than in a doctors office on specialized equipment. However, the set was quite a bit out of my budget, still hoping I can find a way to work one into my mattress purchase. I’ve had surgery on my back and both knees so this would be AWESOME. Thanks for the opportunity! I would try this versus sleeping in my recliner. It looks good. Looking for an adjustable bed. At almost 70 years young sometime during the night I must get up and out to change my position and keep something from hurting. I would love, love, love an adjustable bed; if I can afford a mattress. This would make my back so, so, so happy!!! This bed is perfect for me and my husband! I think it looks amazing! would love to have one. This thing is so cool! I want one! I have multiple health issues (GERD, heart bypass, allergies) so would appreciate this very much!! hanks fro opportunity, ❤️LOVE TO WIN!! I’ve always wanted an adjustable bed and this Yaasa is perfect! I’m in separate need of a new bed because my aches and pains are getting worse sleeping on a used twin bed. Being on a strict disability budget doesn’t allow me to get a better bed. Please and thanks for this opportunity. I would love an adjustable bed! This would be so amazing, I can’t imagine right now how wonderful it must be to be able to adjust a bed instead of stuffing pillows every which way. This looks awesome!! I love that it has an led backlight perfect when needing to adjust in the middle of the night! This is amazing and would be a dream come true for us! Loved the review! This Bed is what I need for my Back after a Surgeon Clipped A Nerve in my Spine. It hurts all of the time. This bed looks amazing. I have serious Neuro and spine issues and this is exactly what I’ve been looking for. Fingers crossed. I would love this bed!! I think this bed is amazing! I literally suffer from many chronic illnesses, one terminal, and am bedridden almost every day. It breaks my heart to see my daughter suffer too. My Dr keeps telling me to get a better bed, but being a single mom on disability makes that Just a dream. Both my daughter, and I, would be so blessed if I could have the ability to actually be a mom, not just a sick person stuck in bed. It would be a dream come true..literally…to have a bed that betters my quality of life. Thank you for the many chances you give people to win a bed that would change their lives. just what my aching (three surgery) lumbar needs,,,,seriously. WOULD LOVE TO WIN ONE, I HAVE A BAD BACK, ASTHMA, COPD, AND MORE IT WOULD REALLY MAKE IT BETTER FOR MY SLEEP APNEA. You should try to do it with the mattress included, but this is great also. I love the idea! Would be so great to be able to adjust the bed so I could read or relieve the pressure on a hurting part of the body! Really could use this for out of town guests! I don’t think the adjustable base is for me, but you never know! Do we get a mattress if we win the sweepstatkes or just the base? If it is just the base you should not refer to it as a bed. This would be awesome on my post-surgery back. I love the concept of this bed! I sure could use this Yaasa Adjustable Bed. Thank you for the opportunity. An adjustable bed is on our list of beds we are currently looking at. They are expensive so winning one would be awesome! An adjustable bed would be perfect to replace all the pillows i stuff under my legs to raise them as i sleep. Wow! I would LOVE an adjustable bed! I do a lot of reading and husband plays video games and we watch movies. Our favorite place to do all of this is in our room. This would be awesome for all of those purposes. This would be great for my house. Who doesn’t want to watch tv in bed. I’ve always loved this type of bed! I love it! I definitely can get comfortable with a Yaasa adjustable bed. It definitely would make it easier for me to get up in the morning with the one click button. Awesome!! I need a new bed ! I have been wanting an adjustable bed. I think this would be an amazing bed to sleep on!! An adjustable bed would be perfect for me. I like that every position you need is there for you at the touch of a button so all you need to do is lie back, adjust, and be the most productive you can be, whatever it is you’re doing, and the “Yaasa” works with most modern mattresses and bed frames and I am confident in knowing that my mattress will function well with the “Yaasa Adjustable Bed. Adjustable beds help you sleep better when laying flat just won’t work comfort wise. I would love to win a new bed! WOW, what an awesome design! I have never seen anything like it. I think this could really help my bad back and creeky bones!!! I’ve been looking into adjustable beds for some time now. Maybe this will be the one? Looks beautiful and nothing like so many other adjustable beds I’ve seen. Thanks for the oppurtunity! I love it! I would love to own this bed, I have asthma and I sometimes sleep sitting up in my recliner. This bed would help a lot. I think it’s pretty nice I would love to one! This bed looks like it will help ease my pain that keeps me up at night. So perfect for watching late night Netflix in bed with the family. I could prop up the bed to watch t.v. or when having breakfast in bed. I like the idea of an adjustable bed, but it would depend on the comfort of the mattress that would work with it. Am in the market for a new bed, if I win the adjustable bed I’ll buy a new king mattress from Saatva. The Yaasa Adjustable Bed features a metal and wood construction, which gives it a strong, sturdy feel. The structure has four legs and stands 15” in height. A major selling point of this particular bed is that you don’t have to attach the legs for it to work, meaning that if you have a bed frame you already love, you can just set the bed inside it. This will ensure that it blends in seamlessly to the rest of your bedroom furniture. This looks like a great bead, to get a comfortable night’s sleep, and I love my sleep time! Will this fit inside a bed frame? I wish a company would create an adjustable bed that would sit inside a standard bed frame. I’ve always like the idea of an adjustable bed just not sure of the bare naked look. I’ve had a 4 poster bed of some sort since I was a kid. I’m amazed at the features on this bed, some of which I’ve never seen on an adjustable bed before (or any bed, for that matter). This Yaasa Adjustable bed looks like exactly what my husband needs for his bad back and chronic acid reflux. We have never tried an adjustable bed. Thanks for the chance! I need to sleep better! This is a very interesting and helpful product! I want to learn more ! So would be nice to win this beauty would help with back and hips issues. Good luck everyone. I have a permanent leg injury and have to keep my leg elevated. This looks so promising on relieving discomfort. I think it is well constructed and, to me looks ideal. Thanks again Sleepopolis, I appreciate your generosity and your thorough reviews. Would love to have a mattress like this! I have trouble sleeping. This reminds me of a hospital bed, or the kind of bed people buy to help with their back pain. Thanks for the info. I would love to win this adjustable frame. It would be the answer to a lot of my sleeping problems. I Like it, great for watching TV or reading or if you have surgery this would be great for getting up without pulling and adding stress to the surgery site.